The France vs Netherlands football international friendly match is set for Wednesday, Mar. 5. Kick off is slated for 3:00 pm. ET (9:00 p.m. CET) at Stade de France. The game will be broadcast live on TF1 in France and SBS 6 in Netherlands. In the United States, the game is available on ESPN3 and Univision Deportes. Live stream is available on Watch ESPN. Below is an AP article on the match. PARIS— France coach Didier Deschamps is putting the finishing touches on his World Cup squad with two new call-ups looking to make their debuts against the Netherlands. Just like Franck Ribery eight years ago, France has another exciting newcomer pushing for his chance at the World Cup. Antoine Griezmann, a 22-year-old winger, has scored 15 league goals for Real Sociedad this season, impressing with his cool finishing and ability to score spectacular goals. He would probably have been called up earlier but was banned from representing France until the end of 2013 for going to a nightclub shortly before a playoff match for the 2013 Under-21 European Championship. The parallel with the 30-year-old Ribery is striking. The Bayern Munich player made his international debut just weeks before the 2006 World Cup, and went on to become one of France’s best players in the tournament as they reached the final. With Gael Clichy out of form for Manchester City and unsure of his place in the France team, Paris Saint-Germain left back Lucas Digne has a chance to break into the World Cup squad. Like Griezmann, the 20-year-old Digne is set to make his debut against the Dutch, with Clichy dropped from Deschamps’ squad. There seems to be another place up for grabs, with veteran center half Eric Abidal left out of the squad and FC Porto’s Eliaquim Mangala in line to make his second international appearance. After months of frustration, where he could hardly score a goal and lost his confidence, Karim Benzema is peaking just in time for the World Cup. The 26-year-old Benzema has been in scintillating form for Real Madrid recently, with 11 goals in his past 13 games while setting up numerous goals for his teammates. But things looked very bleak for Benzema six months ago when he went 15 games without an international goal and lost his starting place to Arsenal forward Olivier Giroud. Dropped to the bench, Benzema finally found the net in a friendly against Australia, and got another one as a substitute against Finland. Restored to the starting lineup, he then scored a crucial goal in the World Cup playoff win against Ukraine as France won 3-0 to overcome a 2-0 deficit from the first leg. With Giroud’s form dipping for Arsenal, Benzema once again looks favored to lead the attack. Netherlands coach Louis van Gaal wants to see playmaker Wesley Sneijder in another position from where he currently is playing for Turkish side Galatasaray. Even though the 29-year-old Sneijder has scored eight goals in 17 league games playing out wide for the Turkish side, Van Gaal feels he’s better suited to a more central role. Van der Vaart, who was called up over the weekend, has now been dropped again due to illness. Ajax attacking midfielder Siem de Jong has replaced him. 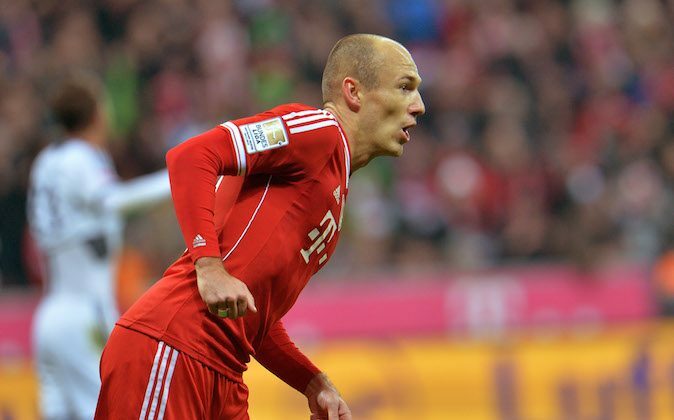 Winger Arjen Robben is having one of the best seasons of his career and remains on track to break his personal scoring record. The 30-year-old Robben scored a hat trick for Bayern Munich over the weekend, taking his tally to 10 — six short of his record, set with Bayern in the 2009-10 campaign. With 11 league games to go, and Bayern scoring freely, he could beat that.